checking and meas-uring. It has the features of easy operating, reliablity, high speed and precision. 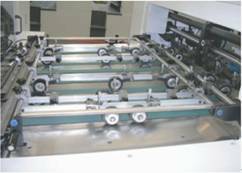 separator, four for transporter so that the process is stable and the device is suitable for different paper. case. Each sucker is individual so that the adjustment is easy and the paper can be transported successfully. 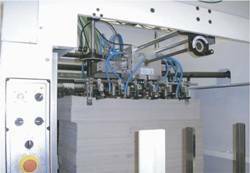 Up-down plan tables adopt accurate grinding processing to assure the precision of working surface. rotation mechanism is safe and its operation is easy. Three parts cooperated with each other, up、middle、down driving cam, finish stripping. The device makes the running stable precise,the loading and discharging quick and adjustment easy. Automatic non-stop delivery can save the working time and increase the work efficiency. The safe, stable and reliable delivery detector can protect the machine and production. steel plate, thus ensuring high precision and durability. support. They will instruct how to choosing and how to operating the holographic electric aluminum. 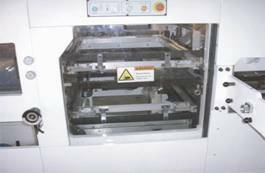 1050FL Fully Automatic Punching, Die-cutting & Holographic Stamping Machine. 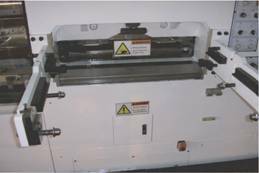 1050SFL Fully Automatic Punching, Holographic Die-cutting, Foil Stamping & Waste- removing Machine. quality and reducing energy consumption. the torsion force of foil-collecting is adjustable, improving the Foil-stamping quality. Servo drive steel ball screw rods control the Pressure Raising & Reducing, accurately & fast. Pressing force of 300 tons, up to which the machine stops automatically.